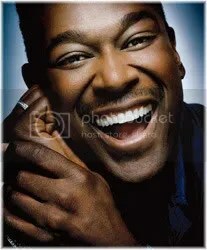 Working with Luther Vandross could often be challenging to say the least. I am sure Daniel Marcus, Shep Gordon, Billy Bass, Jim Morey, Jeff Schock, and Alan Kovac could all tell some pretty eye-opening tales of how intense and difficult Luther could be! I had the good fortune of working with Luther as head of marketing and directly as his product manager at Epic through the reign of all these managers. I was fortunately in a position where Luther couldn’t directly fire me! With that said, I truly enjoyed and was honored to work with Luther through, I believe, 11 platinum albums. We met in a most interesting way, and perhaps it was a first (and second) impression that somehow put me into a good light with Luther. I was writing songs with Felix Cavaliere the legendary keyboardist/vocalist for The Young Rascals. Felix was recording an album in 1979, called “Castles In The Air” for Epic and needed some help with lyrics and A&R VP Frankie Rand suggested me. We ended up writing two songs, “Don’t Hold Back Your Love” and “Outside Your Window” that made the album. I got a call from producer Joe Mardin, who invited me to the studio the night they were putting vocals on my songs. I was thrilled to be a fly on the wall to hear a hero of mine and a Rock & Roll Hall of Famer record a lyric of mine! I found an overstuffed chair in a dark corner of the control room and just listened. Mardin had brought in a group of background singers – two males and two females as I recall. As I watched them work, trying various inflections, octaves, and emphasis I was completely blown away. These were vocal masters like I had never seen or heard before. After a long stretch of vocal work, the singers returned to the control room to listen and discuss further some vocal approaches to the song. After they swapped ideas for a few minutes, they arrived at a plan for the next run at the song. But just before heading back into the studio, the obvious leader of the group came over to me and said how much he liked the song. It was Luther. He asked me if I would mind if he added a little rhyming phrase to one of lines in the chorus. I looked at him and said, “With the way you sing, can do anything you want to that song.” He smiled and said thanks, and went back to the mike and did his thing. It was several months later and I was on the phone in my office on the 13th floor of Black Rock, at that point, the home of Epic Records. Jerome Gaspar, the Epic A&R guy in Black Music Division opened my door a sliver and said, “Can I introduce you to a new artist?” I waved him in and quickly finished my call. We caught up quickly on the Felix session and Jerome was thrilled that Luther already had a big fan in the marketing department… that would be me. Of those many years of working on numerous photo shoots and music videos and showing up backstage at shows to reconfirm our support for Luther, there are two one-liners that stand out from knowing Luther. The legend of Luther’s struggle with his weight will forever be a part of his legacy. He would gain 100 pound and lose a hundred pounds. People worried about the toll it had to have on his heart. He once went on the Tonight Show to quell the rumors that he had A.I.D.S. because of a sudden loss of massive weight. He often purged the weight coming into a new album or tour only to put it all back on, I believe to assuage the stress that he put on himself. He demanded the best from himself and when he couldn’t stand the pressure he placed on himself, he would explode a put the stress on everyone around him. I think it was ‘92’s and Luther was off and running with “Power of Love” and our press department landed an appearance on Saturday Night Live. This was the kind of exposure Luther wanted and felt he deserved. Luther wanted respect from the people in the music industry and for them to understand his stature among artists. Too often some simply thought of him as an R&B singer rather than an artist who had transcended a genre. Luther felt very good about the SNL booking and excited about the sales and airplay progress on the album. At that time, SNL had rehearsals for their musical guest on Thursday afternoon. This was the earliest days of Soundscan’s computerization of retail sales, and the numbers for a short period of time came out on Thursdays, rather than Wednesday as it has been the practice for many years. Obviously, if the chart numbers and sales figures weren’t up to his expectations, Luther was going back to the dressing room to devour a case of Entemanns! 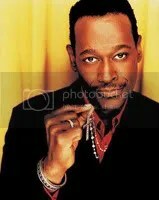 Luther toured a lot and delivered a new album virtually every year. These albums sold a minimum of 1.1 million during the initial marketing life of the album, usually the first 6 to 8 months. Sometimes he came close to 2 million. However it was never below these figures and never above. Luther had his audience, and if we crossed a single to pop radio, he hit the higher number. If we didn’t, his core audience was there to sell a million. As they say, he could have sung the New York City phone book and he would sell a million. His catalog would always continue to sell long the initial launch, however Luther was a big consumer, so he wanted that tour money and the album advances to support his pleasures so we always had timely new music from him. It was maybe a year later, I stopped by his apartment, and lo and behold there hung a Picasso! Luther enjoyed the fruits of his enormous talent. He tortured many a manager… or maybe every one of them. I am sure there are a couple who could never forgive him. He demanded the best, and he gave his best. Rest in peace, Luther.